Lately it seems that I’ve been viewing life through rose-tinted glasses. Not in the figurative sense of perceiving everything in my life in an overly optimistic way or even in the literal sense of wearing glasses with pink lenses, but more so in that lately everywhere I look I’ve been seeing rose motifs. From the luxe rose details in Gucci’s spring/summer and pre-fall 2016 collections (anyone else still obsessed?) to more DIY numbers (see images one and seven above for inspiration) this is a trend that can be pulled off no matter what your budget. 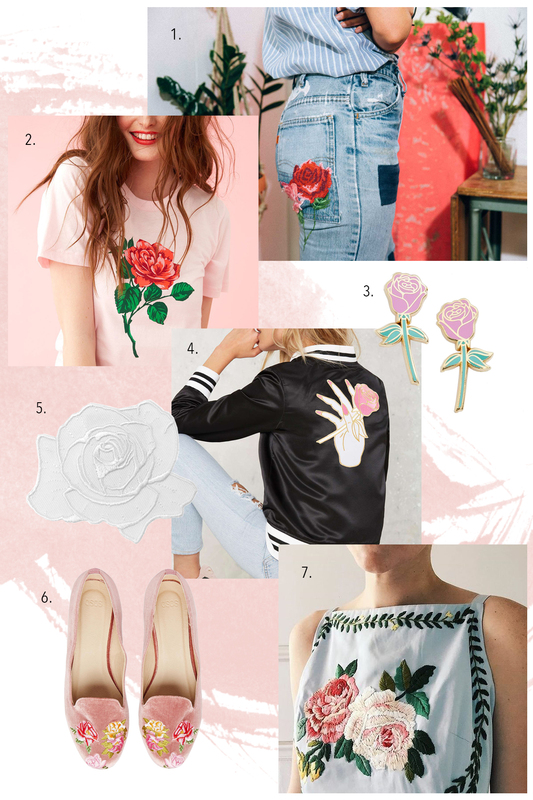 Whether it’s a cute printed tee or an embroidered patch whacked onto a denim jacket, this is a floral trend I’m ready to get behind this season.